There are some packing essentials that for me, no matter the trip (length, destination, style), have to come with me. These are items I have collected over time, and make life so much easier! I want to share my list with you, so you can add them to your travel packing essential list. Save space, save time and so convenient! This has been a game changer. I, like many others, have a phone that will not last the day. Especially if I am using it for maps and taking photos as well. But often in hotels or hostels there just aren’t enough plug sockets to charge your phone, camera and power bank at the same time. Enter the 2 in 1. It has not one by two USB ports for charging, and then at the same time is charging itself to be used as a power bank the next day. Genius. I have a very similar one to this, which is currently out of stock. But this design is game changer! Buy on Amazon UK here. I am forever that person taking the wrong type of adaptor to the wrong country. So this multi use adaptor is a life saver. You can slide the different plugs in and out both depending on where you are, and also what type of plug you want to plug in. Plus, it also has USB ports so I can charge my phone and camera at the same time. I don’t know about you, but I found the iPhone apple cables to be completely rubbish. They split and break after hardly any use. I bought this pack of three varying length cables which has been really useful. I use the shortest one for my power bank, and the longest is fantastic for when the plug is miles from the bed. A mini portable pop up speaker. So small it fits in any hand luggage. While not the most powerful speaker in the world, it is good enough for by the pool, getting ready for dinner and drinks in the evening. It was the price that really swayed me, I don’t like to take anything away that is too pricey! I recently treated myself to a new camera and now it comes everywhere with me! My old one was quite big and bulky, so this has been a real treat to pop into my hand luggage. I am still working out all the features, but so far I am really enjoying it! I have had one of these gadgets for years and it is so useful. With a simple move of putting your SD from your camera into the reader, your photos appear on your iPhone / iPad. Even though my new camera has WiFi capabilities I still find this far easier and more efficient to use. I then upload all my photos to the cloud or dropbox, so I never lose them! I use this mainly when I am travelling solo, but I also take it on holidays with friends. Useful if I am exploring alone or if we want to take a photo together. I haven’t gone down the road of full tripod yet, so this is a good starting place. It has a spirit level so you know the camera is straight and the legs can be bent to grip things. 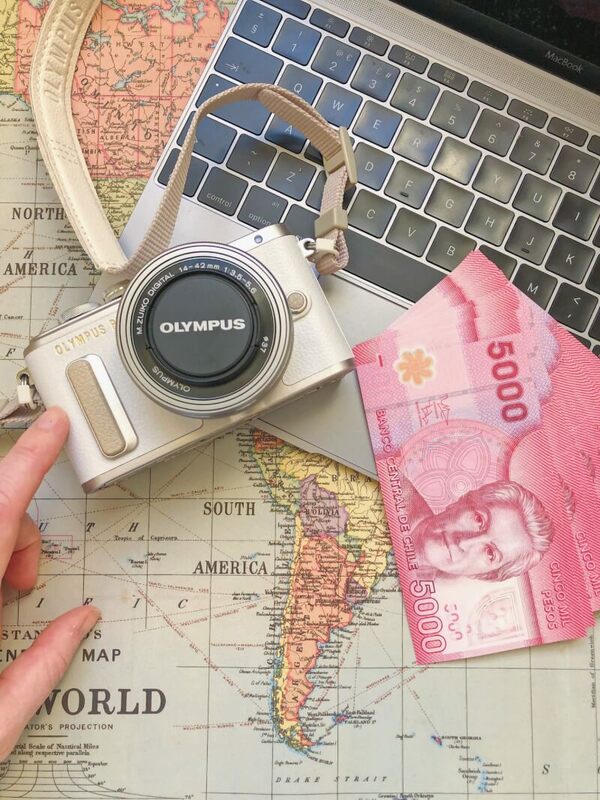 Perfect for the solo travel pic! These little guys are great for travelling hand luggage only, and definitely one of my packing essentials. But when I travel with checked in baggage, I also like to take them to save space. Even if I am not restricted to the 100ml size, I like to travel as light as possible. So decant most of my liquids into these to travel. I love these towels! Mostly useful when staying in hostels, and you don’t want to have to pay extra for a musty towel. But I also find them really useful on beach breaks, and sometimes even when staying in AirBnB’s. Not just for when I stay in hostels. For early morning flights, long haul flights, when the curtains in my hotel aren’t very good, when my room is next to a road, when I am sharing a hotel room with my mum or a house with my brothers. I use my eye mask and ear plugs all the time and could not travel without them. The easiest way I have found to keep small items neatly packed, and then separate when they need washing. Mine was a gift from a friend, and it has been invaluable!It saves on space, keeps things tidy, plus is so much better for the environment than using a plastic carrier bag for your washing. I never travel anywhere with my mini water bottle. It is the perfect size for travelling. It fits under the water fountains in airports and also in the back of seat pockets on planes. For long car journeys or beach days, I always have this by my side! This bag is the perfect size for a purse when travelling. It fits my phone, some cards and money. While it isn’t waterproof because of the zip, it does keep the worst of the sand etc off due to the material. I also love the strap; it is easy to wander around on a city break with it looped through my wrist. There it is, my list of all the items that make packing and travelling that much easier. What packing essentials do you have? The links in this post are affiliate, so will earn me a small commission at no extra cost to you! Liked this post? Please pin it for later! Do you use travel guidebooks? These are great suggestions!!! Definitely need for any trip! Awesome list! These are definitely very important and I’ll keep them in mind for my next trip! Oh, yes, so many musts on this list! Except the camera – I bought the phone with the best camera exactly so that I wouldn’t need to carry around yet another item all the time. Ah yes, always good to have a good phone camera! Great list. 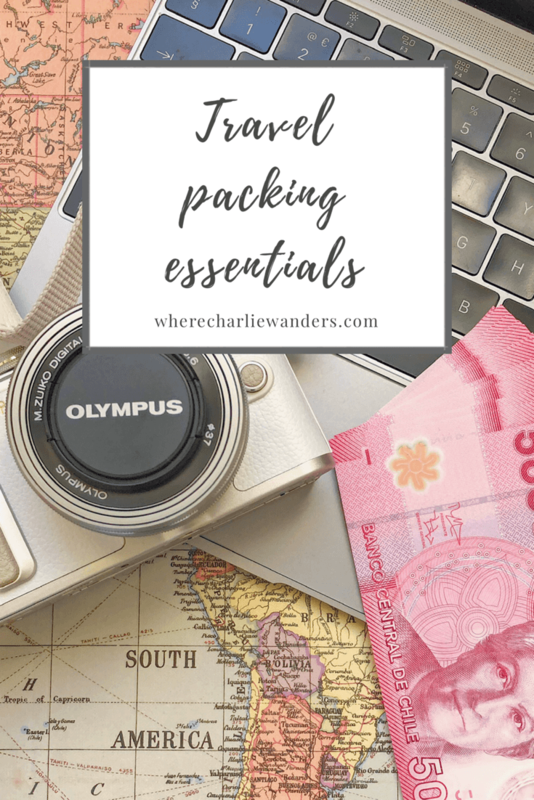 I don’t travel much, but if and when I do, it’s handy to know what the essential items are, so I’m not bring unnecessary stuff and overloading my suitcase. That’s such a great idea! I have a few Spotify playlists downloaded but if I’m offline for a while, they start to get repetitive! Love the Swell bottle! I’m going away soon so really helped me!